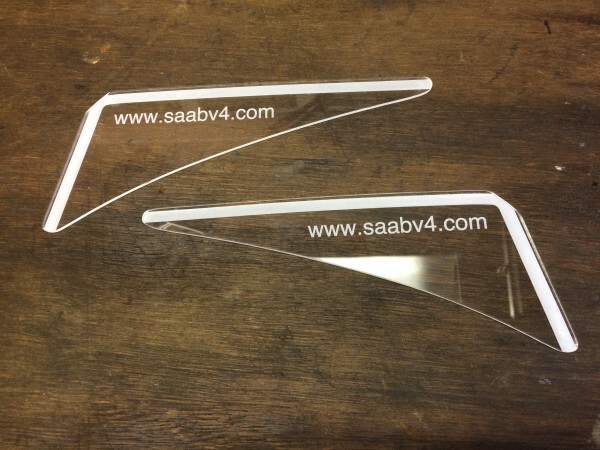 The wind deflectors for the doors can be cut from 3mm acrylate/ PMMA (e.g. Acrylite, Perspex, Plexiglas) sheet with a laser cutter or a CNC router. The lip can be ground with a hand or CNC router and the edges can be finished with a sharp knife and/ or a mini torch (flame polishing).